ArmInfo. 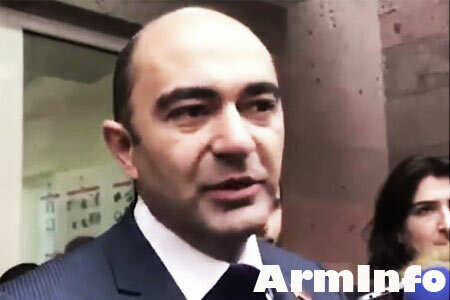 Party leader "Enlightened Armenia", head of the parliamentary faction Edmond Marukyan sees the need to re-create the State Labor Inspectorate within the structure of the Ministry of Labor and Social Affairs of the Republic of Armenia. Marukyan addressed the Prime Minister of Armenia Nikol Pashinyan with a corresponding written statement. This is the press service of the party.According to Marukyan, the current health and safety inspection body is not authorized to solve the problems that the labor inspection body once dealt with, namely the regulation of working time, vacations, work experience issues, the problem of unregistered employees, salary issues, etc.>. In this area, the deputy notes, there are massive and periodic violations by employers. "The majority of citizens work in extremely adverse conditions, without the time frame established by law, without a normal weekend, while receiving meager wages," he said. Marukyan noted that some of the working citizens in Armenia are unregistered, which, as a result, they are no longer taking into account work experience and, accordingly, the right to fair retirement benefits.According to the party leader, today there is no government agency dealing with these problems, therefore, to protect their rights, citizens should apply exclusively to the courts, which is quite expensiveand a long procedure.<I think there is a need to recreate the state labor inspection authority, whose powers will beto assume inspection checks in the field of protection of the rights of workers, both on their own initiative and on the basis of relevant appeals>, the message says.